Have you ever experienced public humiliation by a friend who likes to criticize you when there are others around to witness it? Do you get embarrassed when someone puts you down to make herself seem better or more important? If you answered yes to either of these questions, you are not alone. Putting others down is a common tactic for people who are insecure and haven’t learned decent social skills. Somehow, humiliating you in front of others and embarrassing you makes them feel better about themselves. Public criticism and humiliation have become so common that there are now some popular slang terms for this type of behavior. You might hear “throwing shade” or “trash-talking,” which can also mean gossiping or saying bad things behind someone’s back. Regardless of what someone calls it, it’s rude. Most people who humiliate others are insecure and have never learned that their behavior isn’t perceived the way they want it to be seen. Instead of attracting friends by being polite and putting others at ease, they try acerbic wittiness or mean spiritedness that they think will make them appear smart and funny. This bad conduct typically backfires if they make a habit of doing it. People who humiliate others often can’t handle it when the tables are turned. Not only that, others will eventually catch on and see how desperate they are. But that doesn't negate the hurt and pain they cause their victim. Those who have been the object of this type of behavior know it’s an awkward position to be in and may become speechless and uncomfortable. It might even cause them to experience social anxiety and become withdrawn and self-conscious around the people who witness their humiliation. If certain sensitive topics are called out, it may cause issues that require counseling to get past. 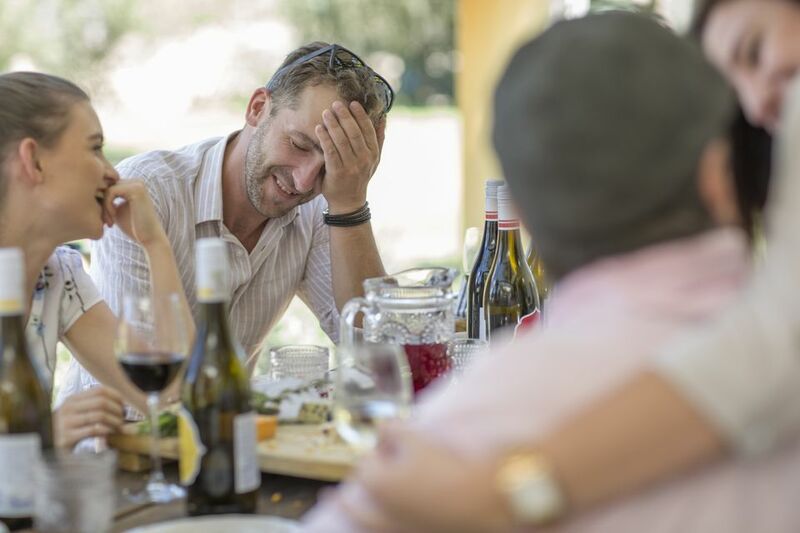 Most people face being embarrassed in public at one time or another, so it’s a good idea to have some skills to deal with it. Remember that it’s never a good idea to try to out-humiliate someone because it will only get worse as it escalates, and it doesn’t make you seem any smarter if you do it. Meeting rudeness with the same type of behavior drags you down to the other person’s level. Change the subject. While you can’t make the person take back what was said, you can move on to a different topic, hoping the person takes the hint. You might have to change the subject more than once for it to work. Stop the conversation. If you are embarrassed beyond repair, you can end the conversation and walk away. The biggest risk here is the temptation for those left behind to gossip about you. However, if they do that, it reflects more on their character than yours. Tell the person to stop. You might see that the person doesn’t realize what she is doing. If you think that might be the case, call her out right there on the spot and let her know what she’s doing is wrong. Be careful to avoid conducting the same type of behavior toward her. Humiliating another person shouldn’t be your goal, regardless of how tempting it might be. Turn the behavior around without matching the other person’s rudeness. When someone says or does something to embarrass you in public, you may consider saying something like, “Are you having a bad day?” “Why did you just say that?” or “Do you think what you just said will solve the problem?” That will put the person on the spot, and if it’s done in a matter-of-fact manner, the humiliation will transfer back to the person who started it. Pull her aside. You can also try being more discreet when you tell her how uncomfortable her behavior makes you. Tell her you need to discuss something privately. Once it’s just the two of you, explain how humiliated you are when she says those things, and you’d appreciate it if she’d stop. Ignore the person. One of the things you might consider is to simply ignore the person when she “throws shade,” and talk right over her. If you choose this option, you risk being considered rude, unless it is obvious to everyone around what you’re doing. Apologize. If you’re called out for being in the wrong or saying something you shouldn’t have, it’s okay to apologize and alter your comment. Then move on. Don’t dwell on something that will make everyone around you wish they could be anywhere but there. Laugh along with the person. When someone pokes fun at you in public, you may want to laugh along with her to diffuse the situation. It lets others know that you don’t take yourself too seriously. Obviously, if the humiliation is cruel or something you don’t want others to know, this tactic won’t work. Surround yourself with kind people. No one deserves to be humiliated in public, so find people who are nice and wouldn’t even think about doing that to you. Even if there is one mean person in the group, you’ll have enough support to deal with a few bad behaviors. In fact, you might not have to say or do anything because the nice people will nip the behavior in the bud on your behalf. Avoid the person. If all else fails, stay away from anyone who embarrasses you. Life is too short to continue putting yourself in this situation. The person may ask why you’re avoiding her. It’s up to you whether or not you want to tell her, but if you choose to, do it in private so you’re not guilty of embarrassing her. Let her know that too. Some people will never stop trying to embarrass you in public, no matter what you do. Remember that you can’t change anyone. They have to see the error of their behavior and want to make adjustments. As long as you remain poised around these people, the problem is theirs. There may be a time when someone crosses the line with public humiliation, and it becomes bullying. If you feel that you’re a victim of being bullied, stay away from the perpetrator, and if you can’t, let someone in authority know. Most parents cringe at the very thought of their children being humiliated in public, but it will eventually happen. It’s best to equip them with some basic social skills that are appropriate for their age. Share the tips listed above and reinforce them as needed. The earlier they learn how to deal with this the more equipped they will be in the future. At the first sign of humiliation turning to bullying, let a school administrator know. Explain the difference to your child and let him or her know where the line is that shouldn’t be crossed.